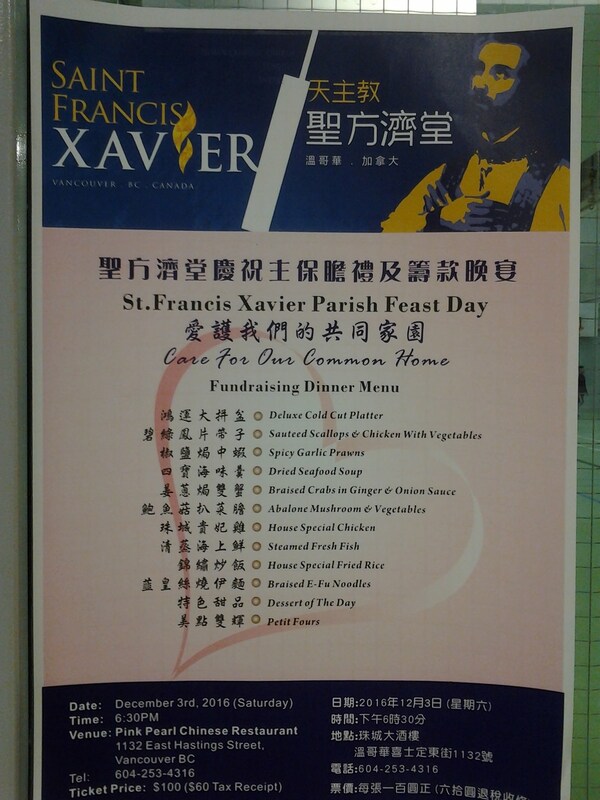 St. Francis Xavier Parish Feast Day banquet will be held at Pink Pearl Chinese Restaurant on December 3. The theme is “Care For Our Common Home” this year. Besides celebrating the Feast of St. Francis Xavier on that day, we also try our best effort to raise fund for paying off the huge loan to the Archdiocese. Each ticket is $100 with $60 tax receipt. Thanks for you generosity.